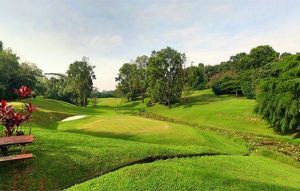 It is a very enjoyable and at times testing layout adjacent to one of the tributaries of the Kranji Reservoir and several of the holes run alongside the river and other run beside the Kranji Expressway. 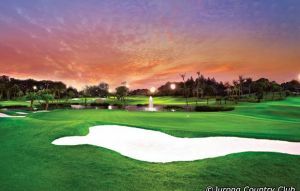 Some of the more interesting holes on the front 9 include the par-5, 2nd with a large lake running from tee to green and a line of bunkers stretching all the way along the left side of the fairway and green as your approach the flag. The 6th is a short dogleg and reachable par 4 and is a classic but dangerous “Risk & Reward” hole with a large pond running in front of the green but plenty of room behind and to the left. The 7th is a medium-length par-3 with water in front of the tee boxes and three bunkers protecting the front of the green – just don’t be short! The 9th is a long par-4 with fairway bunkers either side protecting narrow landing area and water running across in front of the green. 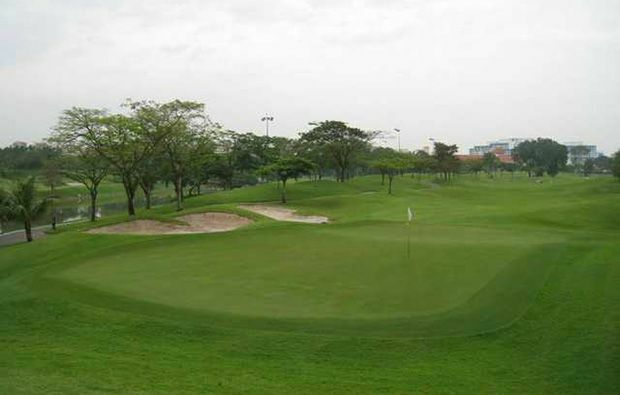 On the back nine, the 12th is quite intimidating with water and a large bunker protecting the right side of the fairways and two more protecting the left side of the triangular-shaped green. The par3, 14th is one hole you will remember with a water carry all the way from tee-to-green and tow bunkers waiting over the back – you do not want to be playing out of there towards the water! The 15th is probably the most difficult par-5 on the course with water in front of the tee and running all the way along the left side of the entire hole. A large bunker blocks your way to the landing area and three more lie in wait for the slightly errant second. The 16th is a short par-3 but the green is surrounded by sand so correct club selection is essential. 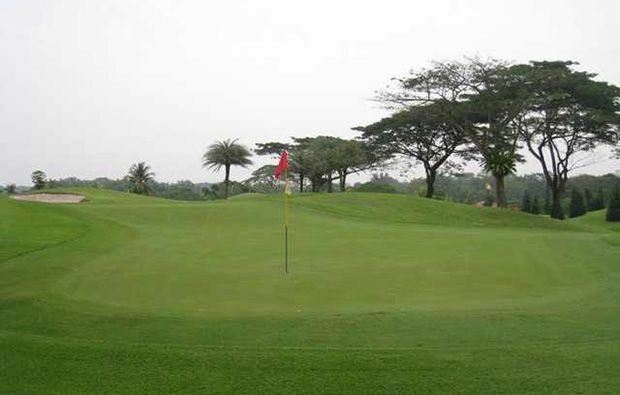 Main problem on the finishing hole is the narrow landing area but if you can find the right position on the left of the fairway then the green opens up for your approach. 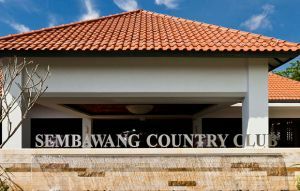 Excellent club facilities include swimming pools, tennis courts, gymnasium and several restaurants including the Golfers Terrace. 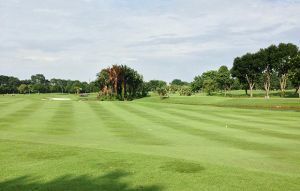 Warren Golf & Country Club in Singapore offers a varied an interesting challenge which will keep golfers of all standards interested. Golfsavers have excellent rates at Warren Golf & Country Club and it’s really easy to book a tee time by using our simple booking engine. Warren Golf Country Club has different Services to offer. Choose a date and number or players to see the rates.